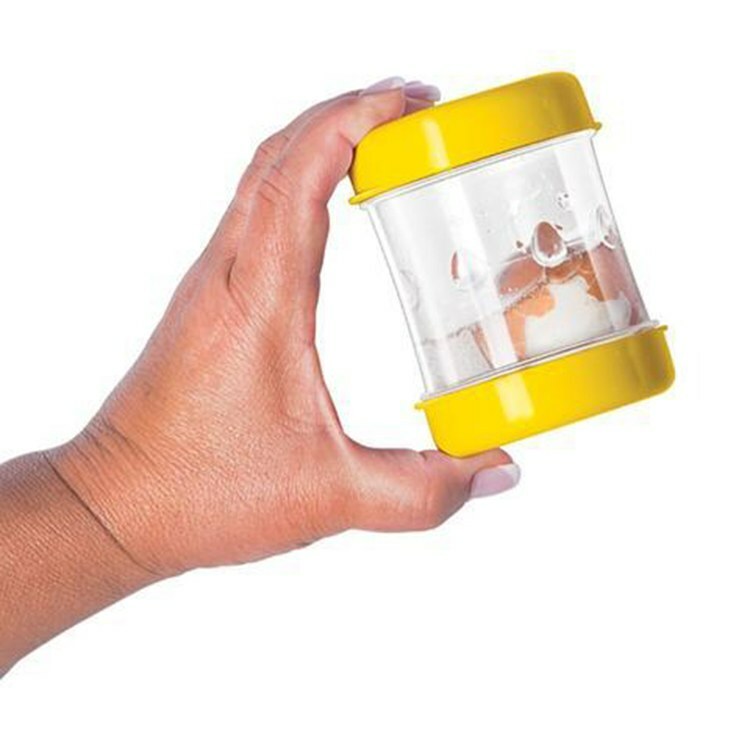 This hard-boiled egg peeler gets the shell to slide off like butter with just cold water and some shakes. It's a simple solution to a dreaded kitchen chore. To use, simply fill the cylinder with quarter cup of water, add the egg, and snap on the top cap. 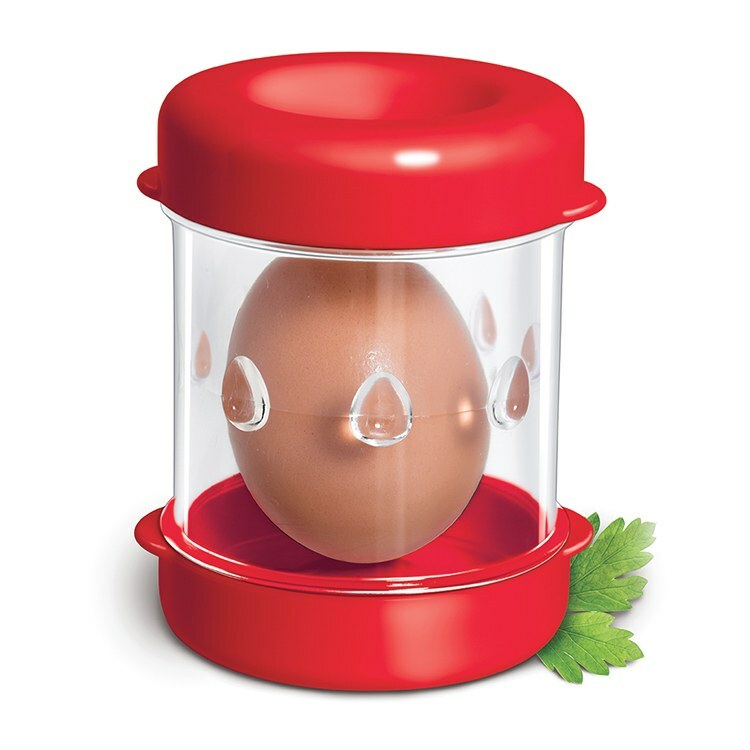 Shake the Negg in an up and downward motion with enough force so that the egg strikes the top and bottom caps. After about 4-12 shakes, you will be able to easily slide the egg out of its shell. Please note: Do not use with hot eggs. Let eggs cool under ice bath or in the refrigerator before use.